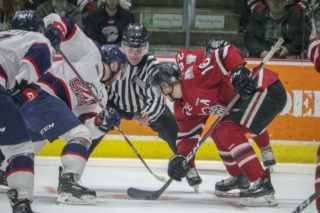 Arizona Coyotes prospect Ivan Prosvetov stopped all 48 shots he faced to record his second shutout of the season, helping the Saginaw Spirit blank the Owen Sound Attack 3-0 on the road. Prosvetov made 38 saves over the game’s final 40 minutes as the Spirit took five of a possible six points on their weekend road trip. The 48 saves are a season-high for Prosvetov, who improves to 11-4-1-0 with a 3.29 goals-against average and an .890 save percentage over 19 games. The 19-year-old from Moscow, Russia was the 13th overall pick of the 2018 CHL Import Draft. He was Arizona’s fourth round pick this past summer. 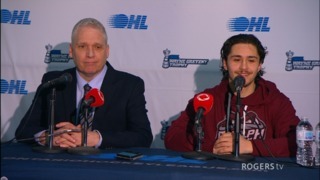 Max Grondin‘s first OHL hat-trick powered the Peterborough Petes back from a 3-1 deficit for their third straight win. 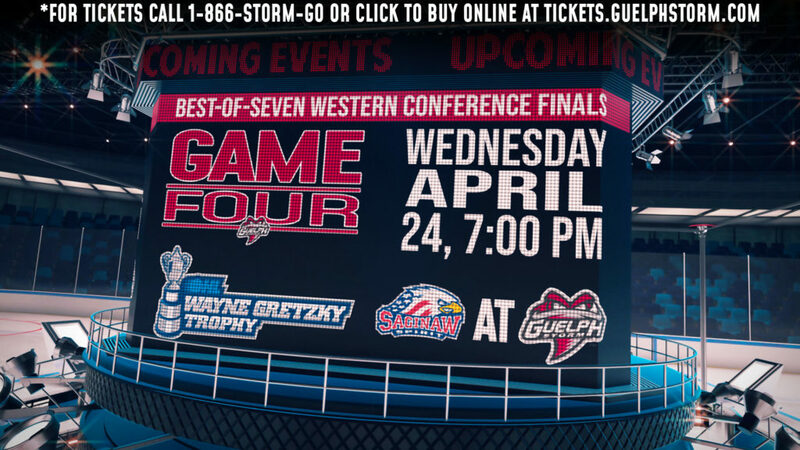 Grondin scored with 55 seconds left in the second period before netting the game winning goal with 8:08 left in the third. He completed his hat-trick with help from Brady Hinz and Erik Cerman with 3:43 left on the clock. The 18-year-old native of Hearst, Ont. 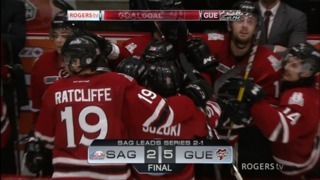 has five goals over 10 games since being acquired by the Petes at the start of November. The former second round pick of Saginaw in 2016 is in his third OHL season and is a graduate of the Vaughan Kings Minor Midget program. 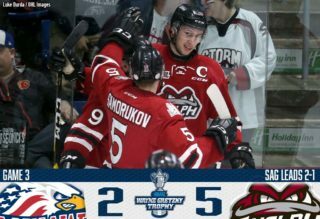 St. Louis Blues prospect Alexey Toropchenko opened and closed the scoring in a 6-2 Guelph Storm road win over North Bay. The 6-foot-3, 200Ib. winger scored twice and added an assist, joining fellow Russian Dmitri Samorukov with a three-point performance in the win. The three points are a season-high for the 19-year-old from Moscow, Russia. Toropchenko has 13 points (6-7–13) through 24 games. He was St. Louis’ fourth round pick in 2017.